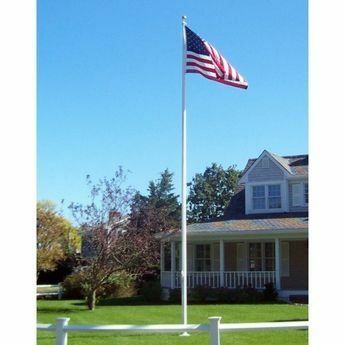 A good quality flagpole is the perfect addition to any home and AmericanFlags.com features a variety of flagpoles suitable for residential use. Homeowners looking for economy and ease of installation have several options at AmericanFlags.com. You can take things up a notch in terms of durability and appearance with our commercial flagpole options. Most residential flagpoles are between 15' and 25' feet in height.